They don’t have exquisite styling lines, flashy chrome, or glowing LED lights. They’re a simple shape, a basic color, and common to all cars. But in the end, tires connect everything else in your vehicle to the road (or mud, dirt, or snow, for that matter), and they are crucial to your driving experience—and your safety. With that in mind, here’s a look at the different types of tires, how they are sized, and how you should take care of them. You can figure out what size tire your car needs by either checking your owner’s manual or looking at the sticker found on the driver’s door. Sometimes the sticker is on the door opening, and every once in a while it’s in the glove box. You can also look at the tires currently on your vehicle to find the size. The “P” means it’s a passenger-car tire. If it was a light truck tire, it would start with “LT.” If there’s no letter, it means you’re looking at a European metric tire. The next three numbers indicate the width of the tire in millimeters—in this case it’s 210mm wide. The next two digits represent the height of the sidewall, but it’s represented as a percentage of the width, also known as the aspect ratio. So in our example the 60 means 60 percent of 215, so the sidewall is 126mm high. The letter following those two digits tells you how the tire was constructed. In this case, the layers of rubber were put down radially across the tire, hence the “R.” The “15” after the “R” is the measurement of the rim diameter, in either inches or centimeters. In our example it’s 15 inches. The last two numbers are the load index, which indicate how much weight a tire can carry. A tire like ours with an 87 load index can carry approximately 1,201 pounds. The final letter is the speed rating, discussed in more detail below—S means this tire can handle a top speed of 112 mph. These provide a smooth and quiet ride in most types of weather, because they are made with a rubber that stays flexible in both heat and cold. The term “all-season” is a bit of a misnomer, however. While all-season tires can provide adequate traction in very light snow, they won’t do the same if there’s any kind of snow accumulation on the road, say an inch or more. 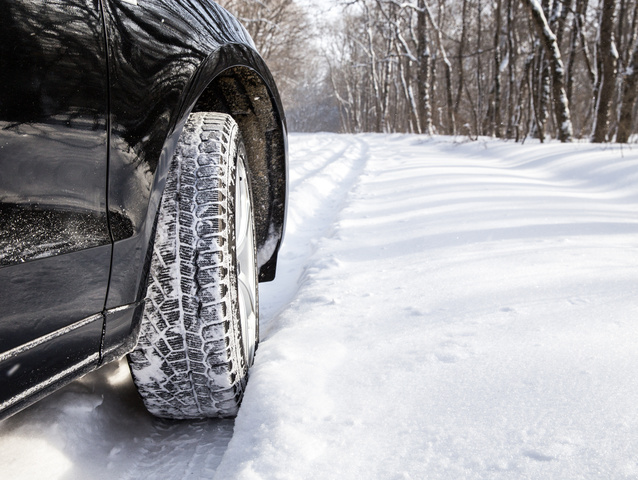 Which means if you live in an area with snowy winters, you’ll want snow tires to complement your all-season tires. Built to handle inches of snow, these are a must if you live in a place that sees the white stuff fall in significant amounts. The larger spaces between the tread blocks, extra siping (small cuts in the treads), and softer rubber allow these tires to find grip on roads that look like ski runs. You can drive on snow tires in the fall and spring, but the soft rubber will wear down quickly in temperatures over 45 degrees, and the traction will not be great. Some snow tires also feature rubber or metal studs embedded in the tread for even more traction—although metal-studded snow tires are illegal in some states. If you spend most of your time driving on roads but occasionally trade the pavement for trails, all-terrain tires are a good choice. They may be a little louder than other tires when driving on paved roads, but they provide adequate traction and are better than an all-season tire on wet, sandy, or snowy roads. They’re great for gripping dirt paths through the woods, but if you plan on serious mudding, you’ll want to get mud tires, because all-terrain treads well get packed with mud and stop being effective. Off-road-obsessed drivers will want these for the best grip in rocky areas, sand dunes, and, of course, mud. While they’re essential for these adventures, mud tires do not grip pavement as well as all-terrain tires, create a lot of road noise, wear out quickly, and can actually be dangerous on icy surfaces. Also known as summer tires, these low-profile (short sidewall) and wide tires provide better traction on both dry and wet roads than all-season tires. However, they stiffen in cold temperatures and are not safe in snowy or icy conditions. They also tend to wear out more quickly than other tires and are more likely to suffer damage from road imperfections. If you like to bring your car to a local race track, or get to travel on Germany’s speed-limitless Autobahn, you might be interested in the speed ratings for these tires. 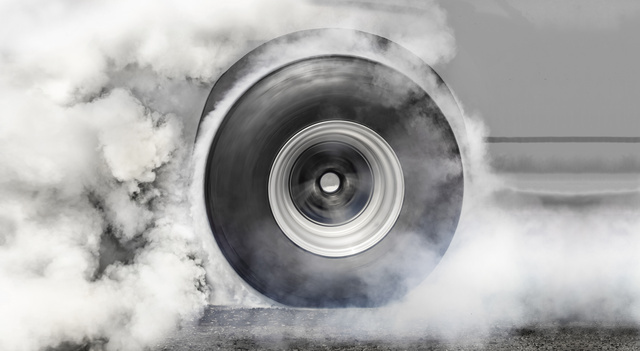 They can be found in the tire description and break down as follows: S (112 mph maximum top speed), T (118 mph), U (124 mph), H (130 mph), V (149 mph), W (169 mph), and Y (186 mph). Regular haulers of heavy loads, in either a truck bed or trailer, will want light truck (LT) tires. Made from thicker rubber, these can handle the extra weight, even when you’re bouncing over bumps or potholes. Some tires are marketed as SUV tires, others as truck tires. The truth is, any tire can be used on an SUV or a truck as long as it is the right size. Trucks intended for serious hauling are the exception and best served by LT tires. Now that you’ve figured out which tires are right for your car and your driving needs, you’ll want to take care of them. A good place to start is with air pressure, which you should check once a month whether your tires look flat or not. Check for the ideal air pressure in the owner’s manual or on that sticker on the driver’s door, then use a tire gauge when the tires are cool to get the most accurate measurement. Do not fill the tires to the psi indicated on the tirewall but rather use the number you found in the owner’s manual or on the sticker. 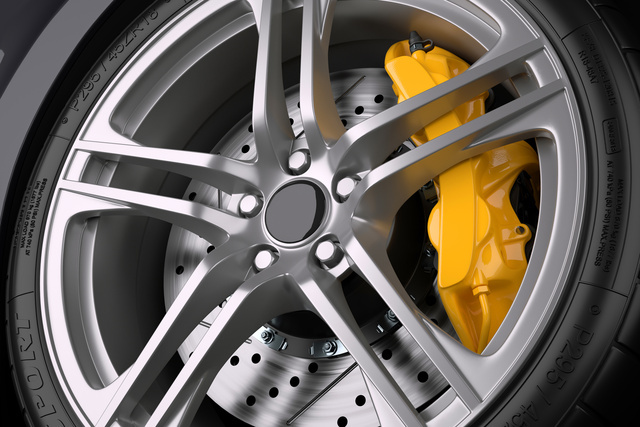 Regular rotation is also a critical part of caring for your tires. This should be done every 6,000-8,000 miles, or whatever the manufacturer recommends. Rotating your tires on a regular basis will help them wear evenly, increasing their lifespan and helping improve your vehicle’s performance. Eventually you’ll want to check the tread wear on your tires to see if it’s time buy new ones. 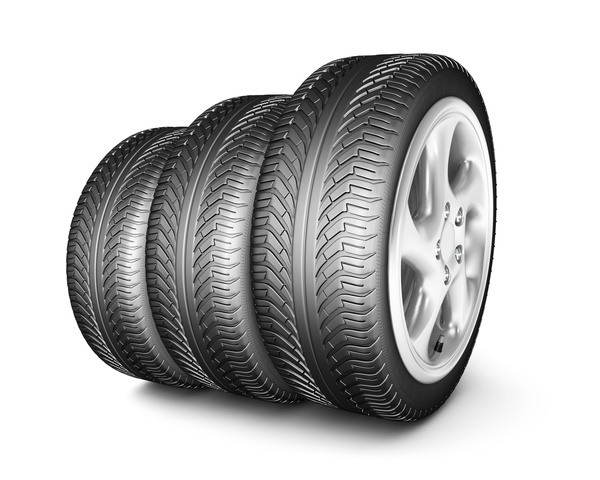 Tires have tread wear indicators (or “wear bars”) molded into the base of the main grooves. Once the tread surface reaches the same level as these indicators, it means it has reached the legal limit, and the tire must be replaced. If you can’t find the tread indicator, or just want to double check, you can try the penny test: Find a spot in the tread that looks the lowest, and put a penny into it upside down. If any part of Abraham Lincoln’s head is covered by the tread, there’s still life in the tread. If the tread is below that (it’s about 1/16 of an inch), the tread is done. Wheel alignment and balancing are also part of tire care. If you feel your car pulling to one side or another, you’re probably in need of a realignment. If you feel vibrations, wobbling, or bouncing, you’re probably in need of balancing. In these situations, go to a mechanic, describe the problem, and they should be able to help you and extend the life of your tires.